Get your FREE Sample issue of Boxing News today! (3 Customer Reviews) | Write Review 51 issues per year We promise to keep you up to date with all the latest news for as little as 78p per issue. Boxing News – Every Fight, Every Punch, Every Week, we want to take you ringside with us ! 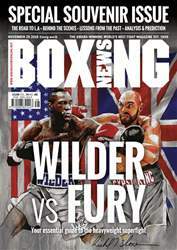 -	You can download the latest issue, back issues until January 2012 and specials like the Boxing News Annual 2014, Total Fight Training or 100 Greatest Fights. -	Exclusive photographic galleries, videos and interactive links: Access key stories, videos, photo galleries, as well as audio content quickly and easily. Special interactive enable you to interact with us on social media or email or writers. We promise to keep you up to date with all the latest news for as little as 78p per issue. -	Instant access: download an issue instantly rather than waiting for the post. Once you have downloaded an issue you can access it wherever you are, online or off. Pocketmags is the one stop shop for all our digital editions. Compatible with Apple devices, it ensures all your issues are safe even if you lose or replace your device you can simply login on your new device to access issue. It also enables browsing on multiple devices and platforms. Users can register for/ login to a Pocketmags account in-app. Existing Pocketmag users can retrieve their purchases by login into their account. You'll receive 51 issues during a 1 year Boxing News magazine subscription. 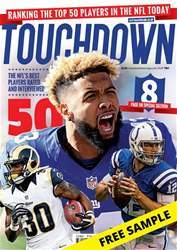 good magazine to keep you up to all the latest review and previews of the fights. 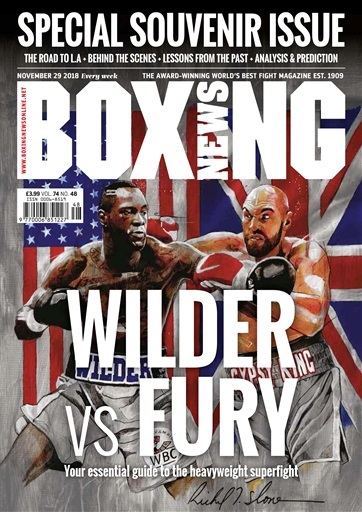 You'll receive 51 issues during a 1 year Boxing News magazine print subscription.